Helps Relieve the Side Effects of Cannabis Withdrawal. 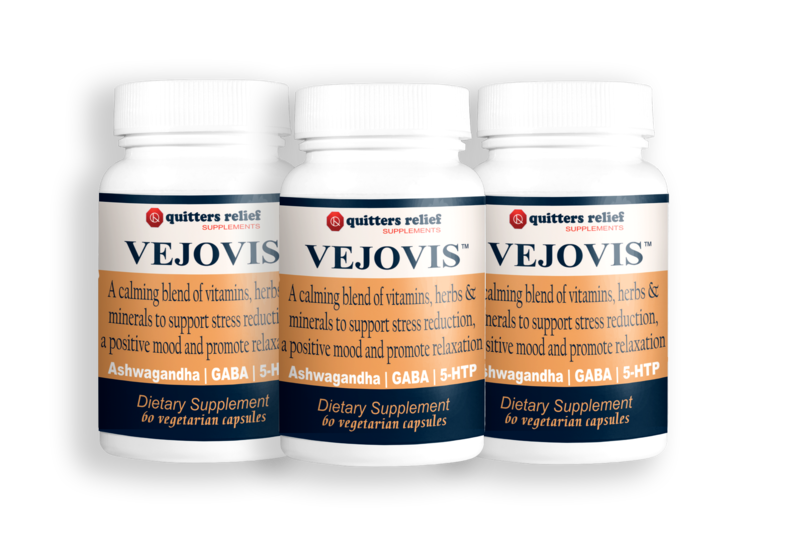 Formulated with 100% Natural Ingredients Clinically Proven to Ease Stress and Anxiety. Safe for Daily Use. No Artificial Ingredients, Vegetarian and Vegan. 100% Money Back Guarantee – Manufactured in an FDA registered facility. CALMING and RELAXING: Helps Relive the Side Effects of Cannabis Withdrawal, Nightmares, Irritability, Anxiety and Depression and Promotes Restful Sleep. 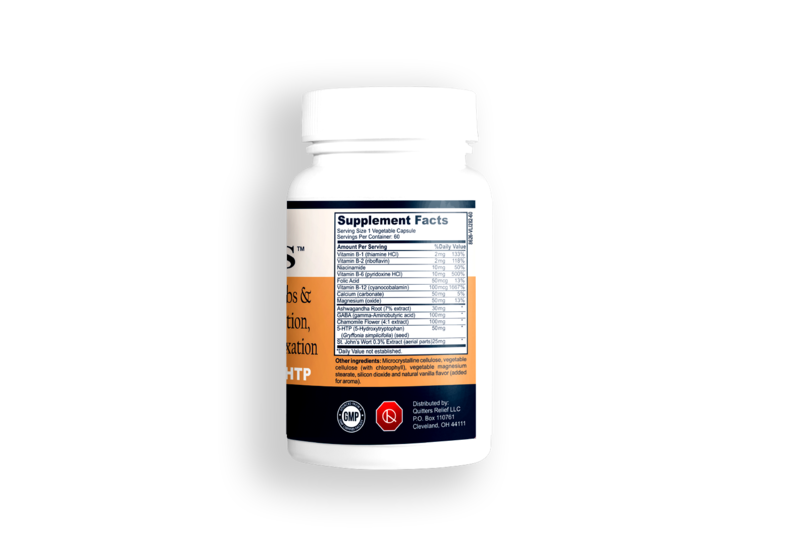 EMOTIONAL SUPPORT and MOOD ENHANCING SUPPLEMENT: Improve your Well-Being and Helps Promotes a Positive Mood. ELIMINATE COLD TURKEY WITHDRAWAL and IMPROVE YOUR CHANCES of SUCCESSFULLY QUITTING WEED: Formulated with 100% Natural Ingredients Clinically Proven to Ease Stress and Anxiety. POTENT INGREDIENTS: including Ashwagandha, GABA, 5-HTP, St. John’s Wort, and other Herbs and Vitamins to Support You Mentally and Physically during Your Stressful Cannabis Recovery. HIGH QUALITY and ALL NATURAL: No Artificial Ingredients, Vegetarian and Vegan. 100% Money Back Guarantee. 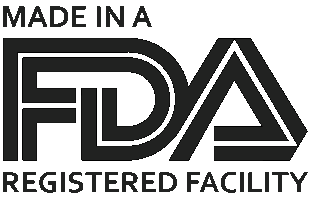 Manufactured in an FDA registered facility. Made in the USA.